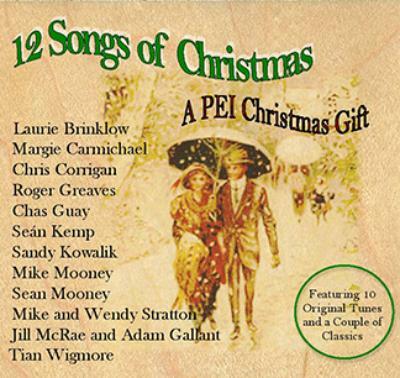 Last winter, just after Christmas, a group of friends started talking about Christmas songs they?d written, or thought they might write, and the next thing they knew: they were making a fundraising CD for PEI?s Upper Room Hospitality Ministry and Food Banks. 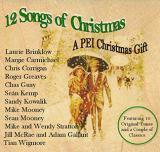 Featuring ten original Christmas songs, and arrangements of two classics, 12 Songs of Christmas was recorded in Charlottetown at Adam Gallant?s Hill Sound Studio Inc. Produced by Chris Corrigan and mastered by James Carrier, the CD also features several Island musicians, including Remi Arsenault, Sean Ferris, Pat Reid, Trevor Grant, Natalie Williams Calhoun, Jonathan Gallant, Keith Stratton, and Colin Campbell. With Danny Murphy of DP Murphy as sponsor, 100 per cent of the profits will be donated to PEI?s food banks.